Stairs can provide one of the biggest challenges for those with reduced mobility, and stairlifts are essential for helping people to remain in their homes, enjoying a safe, relaxed and leisurely lifestyle with minimal support. Our range features both straight and curved stairlifts, available in a range of safe working loads, and with a variety of options for comfort and function. Stairlifts provide an easy and convenient way of accessing upper floors quickly and safely, whenever required. 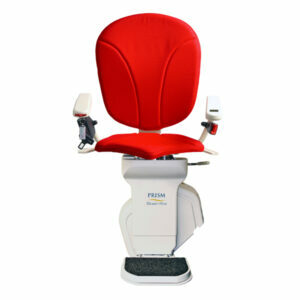 Our entire range of Prism stairlifts is manufactured in the UK, meeting all relevant safety and quality standards. Designed to fit seamlessly into a home, our stairlifts provide mobility for those that need them, without obstructing those that don’t. The lifts are compact, taking up as little space, and making as small an impact on the décor of a home, as possible. A number of seat colour finishes are also available, to match existing colour schemes. Ergonomically designed, many stairlifts in our range can be fully adjusted to ensure the perfect fit as part of the fast, hassle-free installation process. 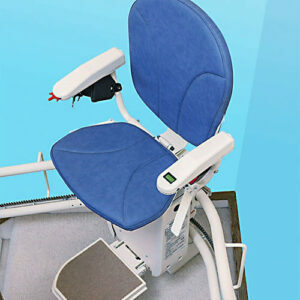 Seats on both straight and curved stairlifts allow the user to swivel the chair on the landing for easy dismounting. Our stairlifts are controlled with simple joysticks and remote controls, and certain lifts come with the option for additional powered functions for ease of use. Prism stairlifts come with a two-year warranty, for complete peace of mind.